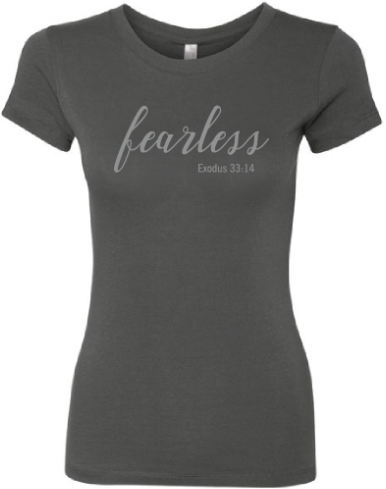 She’s Here & She’s Fearless! I’m still here! And although I haven’t been sharing my heart via the blog, I’ve still been intentional to follow His plan for me. It’s simply led down a path I was not expecting. In the past, I have allowed you to do it scared and you have done well with each endeavor. But My child, I have proven myself to you time and time again. I have never left you. I have never failed you. I have never given you reason to doubt Me. 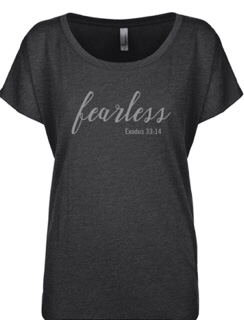 In this new season, you must be fearless. Trust Me. I am with you. Today, I Am Fearless! This does not mean fear does not rear its ugly head. This does not mean His instructions all of a sudden make sense. This does not mean the path I’m on is crystal clear. But it does mean that because He has promised to never leave or forsake me, I will trust Him. I have decided that no longer will fear occupy space in my head when it’s proper position is under my feet. Fear is my enemy and I will use it as a footstool to propel me to heights unknown. It’s time for you too to put fear in its proper place. The Sharing My Heart website is coming soon!!! There you will find all the new SMH tees (you had to know there was more than one!). And later this year, the cover of my new children’s book will be revealed there. So keep a look out for iamsharingmyheart.com. Until then, feel free to email me or contact me via Messenger with questions about SMH tees. I haven’t posted on the blog for a couple of weeks for a number of reasons. Caring for my mom after knee surgery became my primary focus. But in all honesty, there were instances when I allowed myself to become engulfed in what I had not accomplished this year, instead of being thankful for the tangible and intangible blessings I did nothing to deserve. During those moments when my selective memory served me lemons, I turned them into a snack instead of lemonade. Bad idea! One day a little boy planted a tree. The tree grew and grew and it sprouted leaves. Leaves were all over the place. Some were big and some were little. Half of the little leaves blew away. Soon there was only one little leaf left. He was scared. The little boy did not plant a seed. He planted a tree. How you “see” what you have impacts everything. If you plant it, it will grow. Often when we look at others, we only see growth, increase, expansion. It almost seems automatic. But know…there is always work behind the growth. Effort is required. Hurt people, hurt people. Sometimes we don’t understand why people do what they do, but often it is a result of what they have experienced. Peacefully discussing an issue is more advantageous than acting like an issue does not exist. Learn to be comfortable with who you are. Now that Chloe and I have shared our hearts with you, it’s your turn. Isaiah 11:6 concludes by saying, “…And a child shall lead them.” As you read the story of our 7-year old daughter, please share, here in the comments or on Facebook, how her story spoke to your heart?